Margaret was diagnosed with Type 2 just last year, but has dealt with it head on and is an inspiration to all. A native of Atlantic County, New Jersey and now an 18-year resident of Savannah, Georgia, Margaret Jaques was diagnosed with Type 2 Diabetes in November of 2015. Following her diagnosis, she refused to be on insulin, but took the necessary steps needed to manage her condition and has done so successfully. The 48-year-old mother of a 13-year-old daughter and wife to a husband with whom she shares the same birthday, Margaret runs her own company called Savannah Generations, a service which provides care to the elderly in their home. When she’s not busy, Margaret occupies her time doing her favorite activities such as gardening, cooking, writing, reading, hiking, traveling, and taking care of her pets. 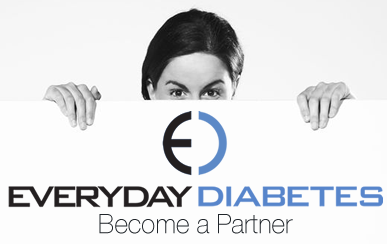 She recently spoke with Everyday Diabetes Magazine about living with diabetes. 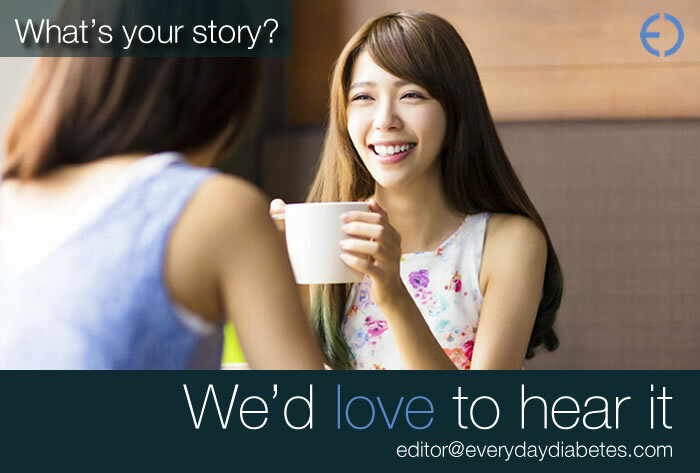 After being officially diagnosed with type 2 diabetes, how did you feel? I was always insulin resistant due to PCOS. Undiagnosed diabetes had me in really bad shape over here. When I was diagnosed in November, I had an A1C of 7.8. My doctor threatened to put me on insulin and I cried. I’m also simply afraid of needles. It broke me thinking I had to go on insulin, which was basically poisoning me. She gave me five months to bring it down via diet and exercise, and that was the option I chose. What is your main support system? How did your family react to your diagnosis? My husband Jon is my main support system and he is wonderful. However, I haven’t openly shared my diagnosis with many friends or family. Diabetes seems to be a very misunderstood disease that I’m not really willing to educate everyone on, or to feel like I always have to explain myself. I belong to a private FB group called Diabetes Type II Support and feel more comfortable there with like minded people who share the same struggles. 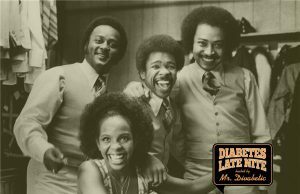 In my family, not a single case of diabetes popped up until my mother was diagnosed with it when she was 58. She was fiercely battling breast cancer a decade ago, then the cancer came back at her five year remission mark, and she had to start over again with treatments. My mother is cancer free now, but still deals with diabetes daily by using insulin. What was your routine for diet and exercise that made you so successful in your 5 month journey? I started watching my carbs closely. I had been on Atkins twice before and did well, but that was never sustainable. I ate more of a South Beach style of diet with portion control. I made wiser choices when it came to carbs. Instead of potatoes, I would substitute the cravings with mashed cauliflower or french fried turnips. I doubled my veggie portion which was/is mainly my bulk of carbs. I switched from sugar to Splenda. As my weight came off by just becoming more active, my neuropathy pain went down, as well as my depression. I started a garden, organized the house, and exercised more frequently. I feel so much better. My main exercise was to move with purpose. I had no purpose before. How much weight have you lost in total and what do you have planned to keep the weight off? By March 15th, I had lost 40 lbs and had an A1C of 5.8. I see her again on June 15th and I’m now 58lbs down and I’m certain that my A1C is down also. I haven’t done any training yet but I am considering it for toning certain areas where I have loose skin. Due to a bad umbilical hernia, ab exercises are impossible at the moment. The diabetes has kept me from getting that umbilical surgery, and I’m hoping she will approve it in the next few months. Currently I eat 1550 calories and 120 carbs or less per day. I’m taking advantage of thermodynamics (calories in/calories out), and my meter. I lose at least a pound every week or more consistently, and have yet to stall. I’ve gone from 240lbs to 181. What was your doctor’s reaction to your weight loss and what is her plan from here? I left her in shock in March, having lost 40lbs. We set a goal for me to lose 10 more by June, and I’ve lost 25 at least. I also promised myself not to look at the scale every day. My A1C went from a 7.8 last November to a 5.8 this past visit in March. She was so happy. “Nobody does that!” She was hopping up and down over it. I just started getting my fasting morning numbers under 100 for a month straight. My appointment with her in mid June will give me my new A1C report and blood panel to see what she thinks. You don’t like the scale, why is that? I refused to buy a new bathroom scale. I promised myself to not check my weight every day. One of my elderly clients is a retired doctor and he has a great old scale in his bathroom and I weigh myself there once every other Wednesday. That is mainly to confirm to me that I am doing this to fix my health and eat for my meter, not my ego or weight. I also don’t want to go through the anguish of going up and down day by day, or have a bad water retentive day and think I messed up my diet. There are so many factors in losing weight, and I wanted to avoid the drama. My meter will tell the truth. You are living proof that people don’t always need to go straight to medication. What advice would you give to someone who was newly diagnosed? For anyone newly diagnosed I would highly advise them to buy a cheap notebook and start a daily journal. Use a free fitness application to log in their meals so they can see their nutrition intakes. 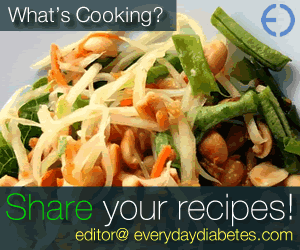 Journal everything from your meds, your meals, macros, blood sugar readings, and how you feel. If your meter reads over 140 two hours after eating, glance back at what you’ve just ate- particularly the carb/starch, fruit/sugar dishes and make a note to half the serving of them next time around. We don’t have to “diet” or deny ourselves anything; just control our portions and eat to our meter. After a few weeks of journaling you will soon get to know your own body and how it responds to your normal food fare. You’ll be more empowered to harmonize the two. Accomplishments is a difficult question, as I have met many goals and survived many tough obstacles in my 49 years. I’m certain that there are many more lessons to learn and milestones to meet in my future. When it comes to my health, quitting smoking is my next goal and one that scares me silly. Such things just have to stand down and it’s up to me to make that happen. On the same level, I don’t like anyone or any situation to tell me what I cannot do. Doctors told me that I was infertile and would never have a child on my own without medical intervention due to PCOS. Once I knew that my condition had a name back in the late 1990’s, I stuck my nose in every medical book under the sun to learn about it. I was pregnant by 2002 with my greatest accomplishment, my 13-year-old daughter who I am still growing. I’m so proud of her. I don’t have an heir to spare, she’s my only one and I can’t fail in parenting. I fully understand that she is going to fail and fall at many things just like I have, but I will not fall as a parent. I’m going to support her and love her unconditionally so she knows as I have learned, your life for the most part is what you’ll make of it. In your opinion, what do you think America could do as a whole to educate others on diabetes and diabetes prevention? The FDA food pyramid had a slight revamping, but not nearly enough to break us from this unhealthy western diet. I truly believe that a solution to our ever growing health problems is to become rebellions. I homeschool our daughter and am responsible for her health and physical education credits. This past year we focused on learning about our own individual bodies and how to listen to them and realize that every day we’re given opportunities to make our own choices. That’s the key, make our own choices in response to what we learn that our bodies individually want. An athletic Olympian may have a body and lifestyle that requires 3000 calories a day and carbs to power through training, whereas a school Librarian would fare better with one fruit serving per day and not the 2-4 that the FDA pyramid recommends. Empowering one another with self discovery tools is key. I love gardening and when it comes to being patriotic or American, what’s better than establishing your own Victory Garden? Remove the government and corporate control over our diets, our lives, and in a sense our paychecks. Most of my garden has been grown from seeds or kitchen waste. I have pineapples, zucchini, cucumbers, tomatoes, celery, green onions, bok choy and peppers. I’ll soon have enough for my family and to share with neighbors and co-workers. I belong to a local FB co-op who share and trade our extra seeds, rootings, and seedlings. It costs me nothing except the beneficial activity and exercise that it takes to get on my knees and dig in the soil. You can find out more about Savannah Generations on their Facebook Page.